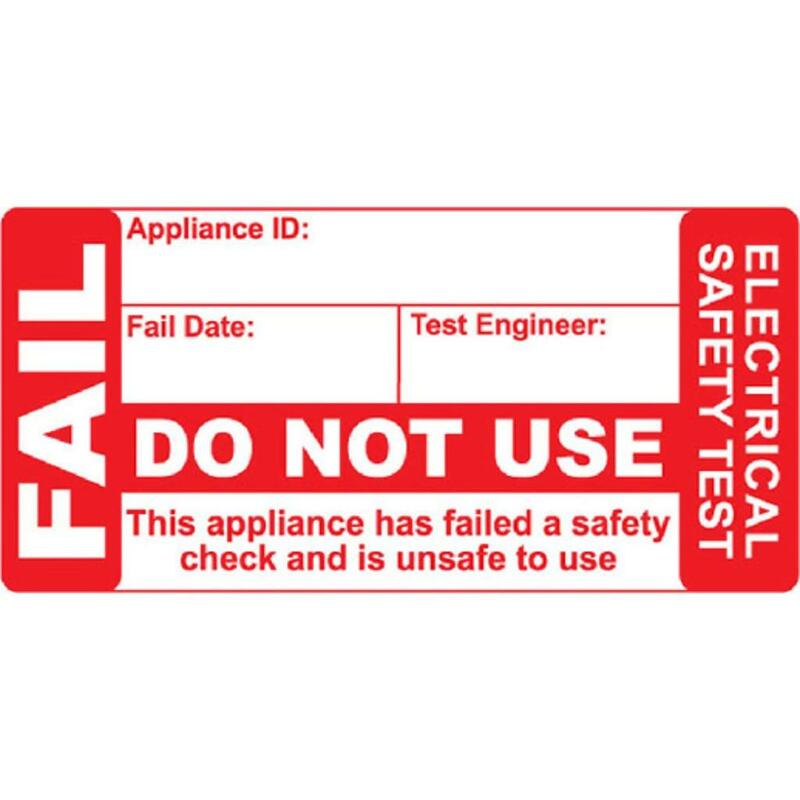 Self-adhesive fail PAT labels supplied in sheets for sticking onto appliances after testing. Printed on Polypropylene, so they don't tear like paper labels and treated with a matt varnish to handle the harshest environments. Can easily be written on using a biro or permanent marker. 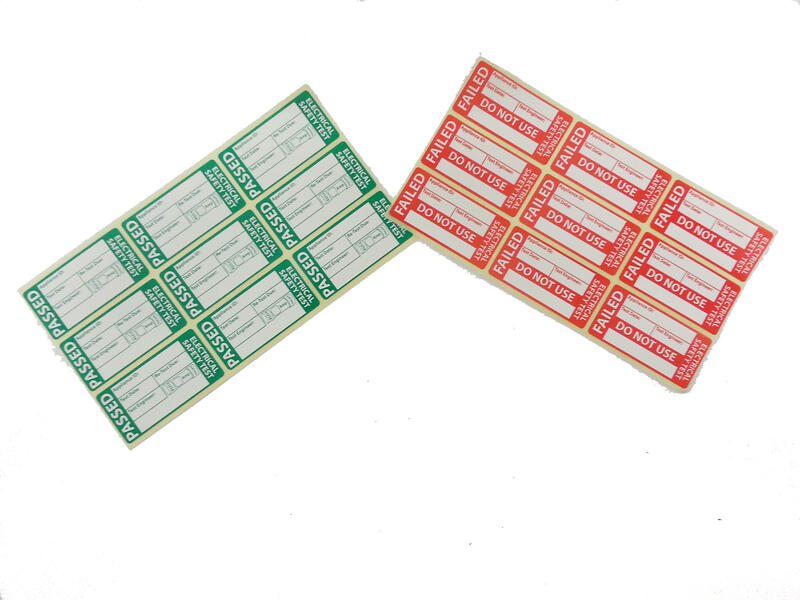 Dimensions (L x W): 50 x 25mm.